For me, the holiday season can be summarized in one flavor: peppermint. Peppermint hot chocolate after a night seeing the temple lights. Peppermint candy canes hanging on the tree. A big bowl of peppermint ice cream for my birthday. Peppermint salt water taffy in the nutcracker bowl at my aunt's house. We've already made this peppermint recipe once since Thanksgiving last week, and I have a feeling it won't be the last! 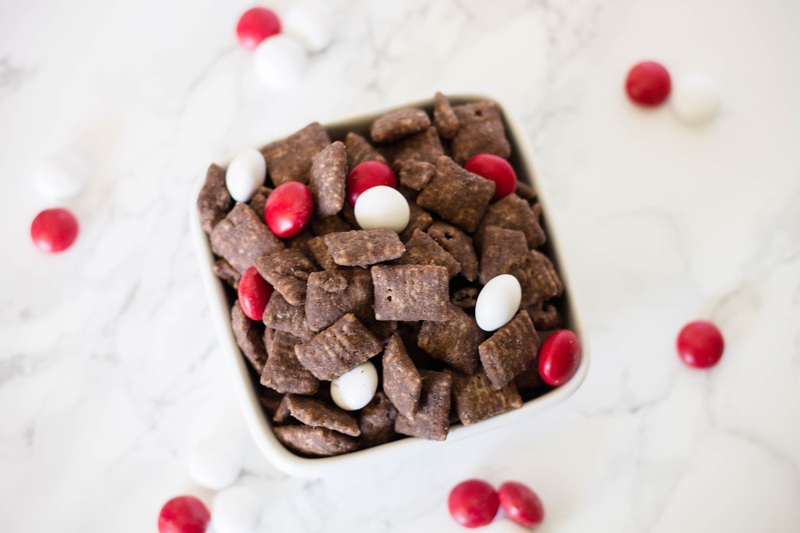 I think we love this recipe so much because it combines a few of our favorite things: Rice Chex, peppermint flavor, and chocolate! Also, it's almost impossible to mess up, and only takes 5 minutes from start to finish. That's what I call a good holiday recipe! 1. 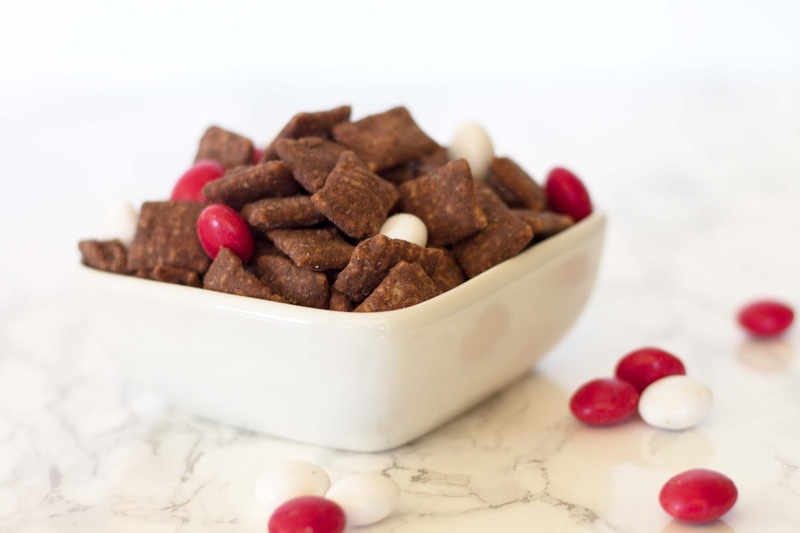 Place 7 cups Rice Chex in a large bowl. Set aside. 2. Measure the peppermint baking chips (or the chocolate chips and peppermint extract) and the vegetable oil in a medium microwave-safe bowl. Microwave it for about one minute, or until the chips can be stirred smooth. 3. 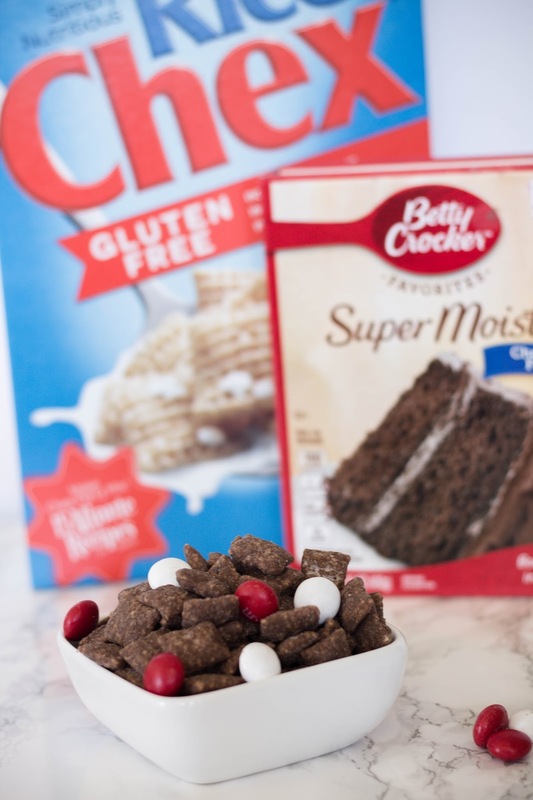 Pour chocolate mixture over the Rice Chex and mix well. 4. Place mixture in a large airtight bag with cake mix. Seal top and shake bag until Rice Chex are coated thoroughly. 5. 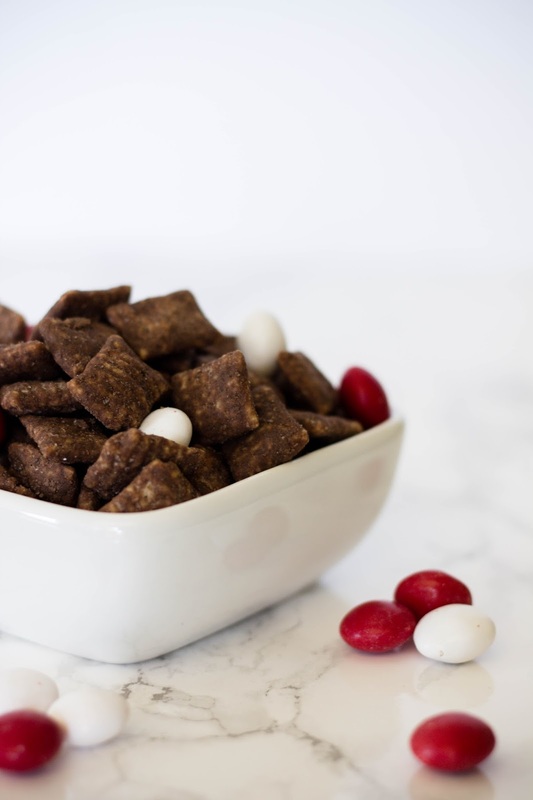 Add in the Peppermint M&Ms and enjoy! If you're an eternal Winco shopper (and WinCo bulk bin lover) like I am, here are some coupons that will make this entire recipe ridiculously affordable. #WinCoCheer for life. And, since I love holiday treats so much, I'd love to give one reader $10 to cover the costs of this entire recipe. All you have to do is visit THIS LINK, and leave a comment below (any comment will do!). I'll pick a winner in a week (December 6 at 11:59pm) and send you $10 via PayPal. Let's get our peppermint treats on!